Chitta Gruhpati, a rich businessman from Magadha, started practicing Vipassana meditation after meeting the chief disciples of the Buddha and shortly became an Anagami (the third stage of liberation). He was regarded as the foremost in debating. 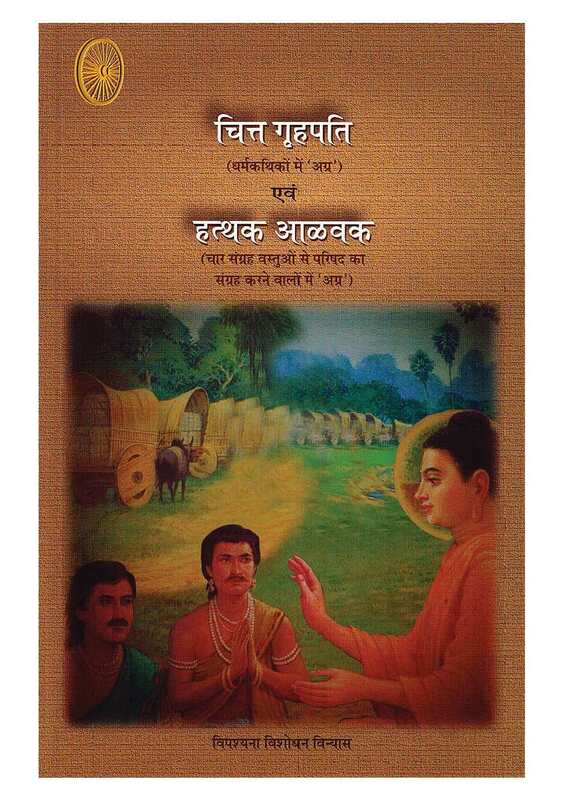 Hatthaka Alavaka, son of Alavaka, was saved by the Buddha in his childhood. As he grew older, he started practicing Vipassana and became an Anagami (the third stage of liberation). He had great leadership skills and was adept at uniting people. He was highly praised by the Buddha for his four qualities - generosity, sweet voice, volition to help others and equanimity. This book contains the life stories of these two great lay meditators, their conversations with the Buddha and other meditators which throw light on the subtle aspects of the Dhamma and skills important in worldly realms. At the time of the Buddha, householders and monks alike practiced Vipassana meditation and got immense benefits. These lay disciples of the Buddha have shown us that the highest goal of the mankind can be achieved even by living the householder's life. Stories of other lay disciples like Anathpindika, Rajvaidya Jeevak, Adarsh Dampati, Vishakha etc. will eternally inspire us and act as a beacon of hope.